Embossed Wooden Heart Shaped Box by Transomnia. 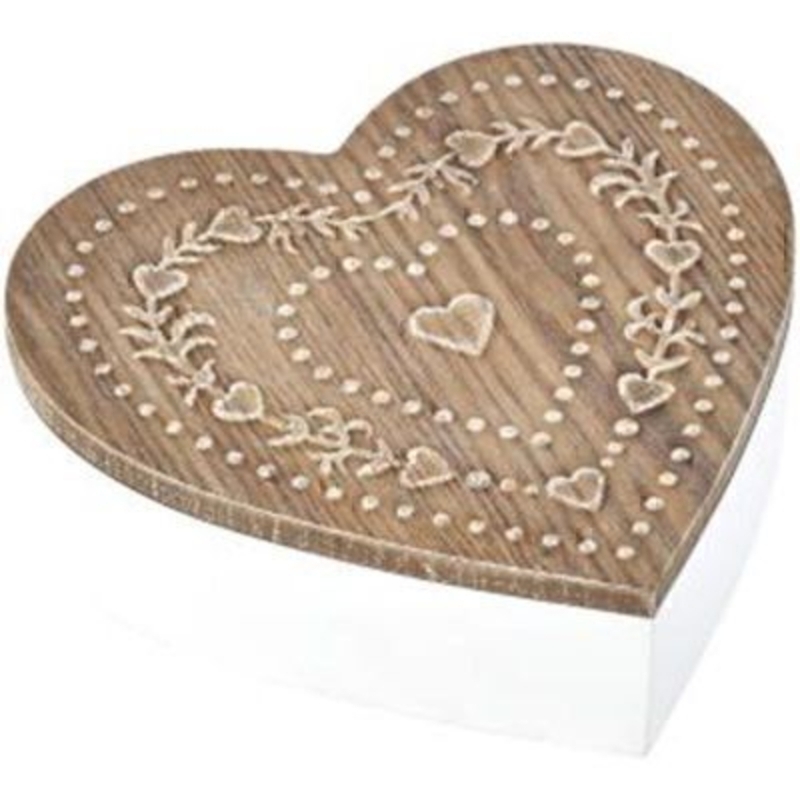 Lovely white wooden box in a heart shape with an natural wood coloured wooden lid that features an embossed heart design. Size: 5.5 x 18 x 17.3cm.